The silver pheasant (Lophura nycthemera) is a species of pheasant found in forests, mainly in mountains, of mainland Southeast Asia, and eastern and southern China, with introduced populations in Hawaii and various locations in the US mainland. The male is black and white, while the female is mainly brown. It is common in aviculture, and overall also remains common in the wild. 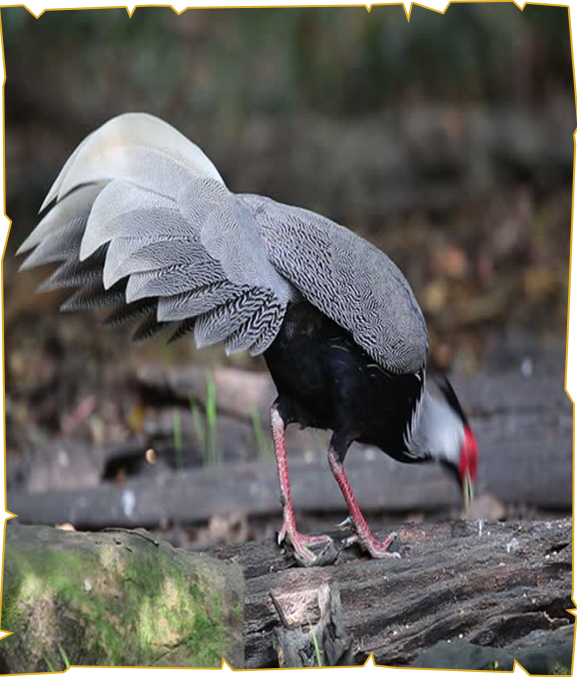 Widespread and common in most of its ranges, the Silver Pheasant is evaluated as Least Concern on the IUCN Red List of Threatened Species.